In this workshop, participants will learn about the C.C.A.T.S. model which is designed to encourage a creative multisensory approach to solution-focused counseling. The C.C.A.T.S. model is an acronym that can be used as a mnemonic device by solution-focused practitioners who work with children and adults. The first “C” in the C.C.A.T.S. model stands for “Concrete Examples” such as props which can help make abstract solution-focused concepts and questions more concrete. The second “C” stands for “Creative Activities” which can help clients tap into their own imagination and resources. The “A” stands for “Adaptable Applications” which means that the solution-focused approach can be adapted for different learning preferences and for a variety of settings. The “T” stands for “Technology” such as YouTube videos, “Wordle” direct compliments, and solution-focused digital storybooks which can be an effective way of engaging clients especially “Digital Natives”. The “S” stands for “Science” which can be used to develop unique solution-focused activities that are supported by neuroscience and optical science findings. The presenter will demonstrate a variety of hands-on multisensory tools that fit into the C.C.A.T.S. model. Participants will also be encouraged to share their favorite creative and fun solution-focused activities. 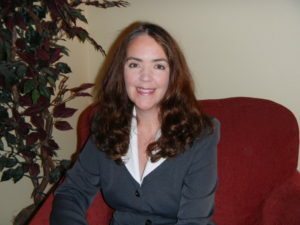 Carol E. Buchholz Holland, Ph.D., is an associate professor and the school counseling coordinator in the Counselor Education graduate program at North Dakota State University in Fargo, North Dakota, USA. Carol is a National Certified Counselor (NCC), and is a former licensed professional counselor and school counselor. Recently she was selected as a fellow of the Oxford Symposium for School-Based Family Counseling. Carol served as the 2014-15 President of the North Dakota Association for Counselor Education and Supervision, and the 2013-14 President of the North Dakota School Counselor Association. Carol has presented internationally and throughout the United States on topics that pertain to the solution-focused approach. Her research areas include solution-focused applications in school settings, and creative solution-focused and strength-based counseling practices. She also continues to explore fun ways of incorporating multisensory activities which are supported by neuroscience findings into individual and group counseling sessions.